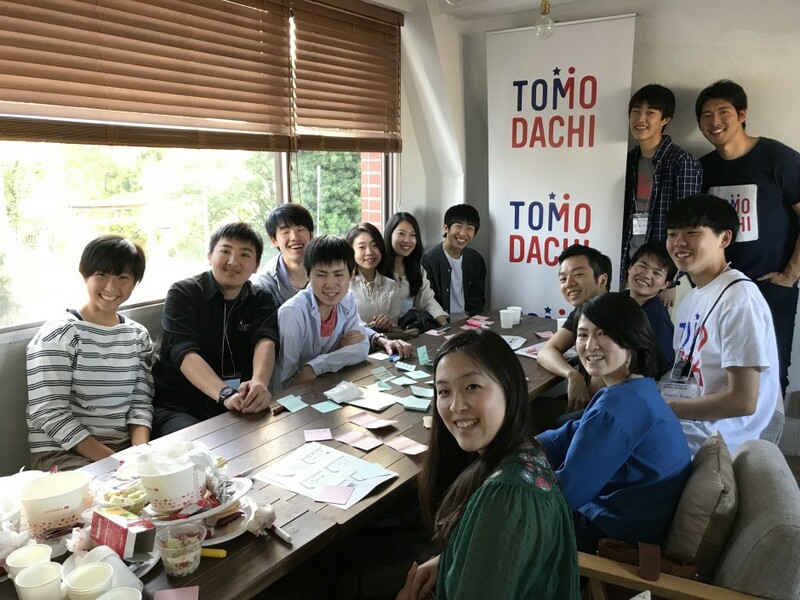 On May 20 2018, two Regional Teams representing the Kanto Region brought together alumni of the TOMODACHI Generation for two back-to-back events throughout the day. In the morning, Team A led by Regional Leaders Naoya Tosaka (alumnus of the TOMODACHI Microsoft iLEAP Social Innovation Leadership Program) and Ryotaro Morimoto (alumnus of the TOMODACHI U.S. Japan Youth Exchange Program) with support from Regional Mentor Steve Sakanashi gathered together 12 alumni to spend a relaxing afternoon, enjoying meals at the café with the concept of “Eat, Meet, Seat”, reviewing the experiences of their programs and reaffirming the relationship with TOMODACHI and its alumni community. Through the event, expectations for an ideal TOMODACHI Alumni Network portrayed the hope for it to be a “place where alumni can learn” and a “place where alumni can meet with other alumni” that would eventually lead to “opportunities to demonstrate [themselves]”. In the afternoon, the second team (Team B), led by Risa Tanno (alumna of the TOMODACHI Summer Coca-Cola Homestay Program) and Yuuki Takashima (alumna of the TOMODACHI U.S. Japan Youth Exchange Program) with support from Regional Mentor Ginger Vaughn brought together under 20 alumni participants to a colorful cooking session titled: “TOMO Temari-tei”, focused on maintaining connections among TOMODACHI Alumni and providing a source of motivation. 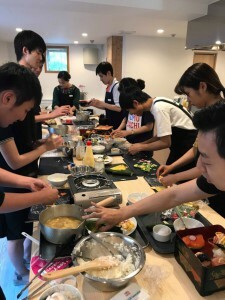 The venue was provided by Best living Japan Studio’s Lauren Kawasaki and the culinary lesson was led by Japanese cooking instructor. The event was broken up into different parts which allowed for collaborative cooking and team work while engaging in discussions about multicultural experiences, future goals, and objectives as TOMODACHI Alumni. Another highlight of the session included a contribution of “Sasanishiki” rice from a fellow Regional Leader from Miyagi Prefecture, a reminder of the connectedness of the alumni network infused in the temari-sushi.